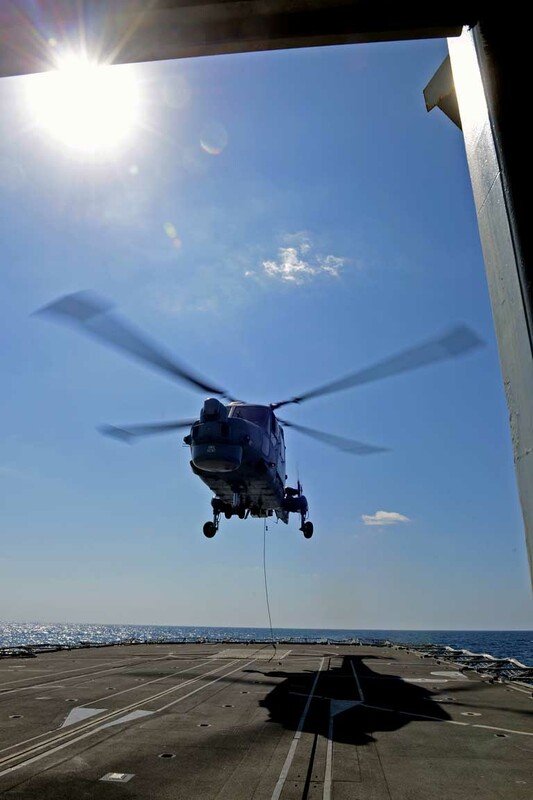 During counter-terrorism and maritime security operations as part of Combined Maritime Forces, warships such as the Royal Navy’s HMS Kent use helicopters and/or Unmanned Aerial Vehicles (UAV) to carry out searches from the air, giving Commanding Officers a picture of their area of operations in order to monitor, track and intercept suspicious vessels. 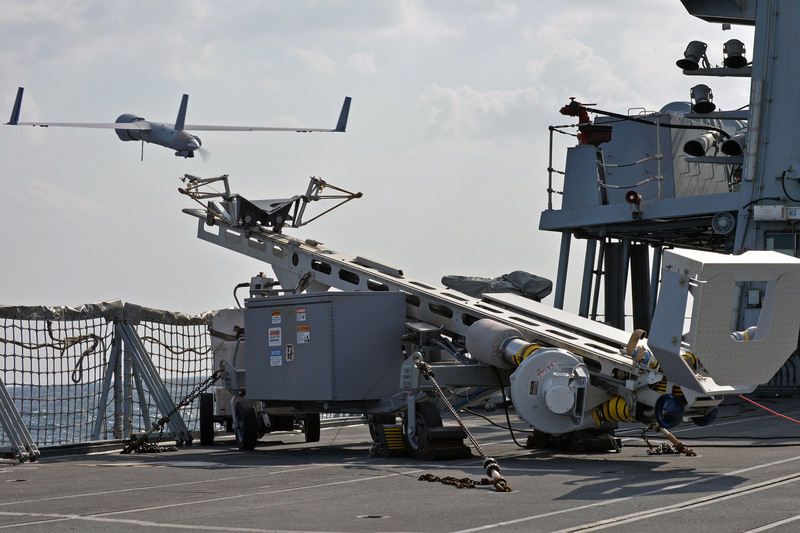 These capabilities complement the routine operations of longer range maritime patrol and reconnaissance aircraft. 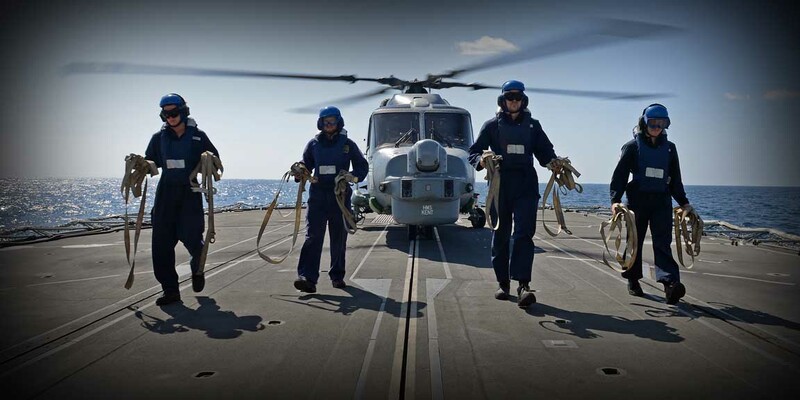 HMS Kent is currently deployed to the Middle East where she is carrying out counter-terrorism and maritime security operations under the Canadian-led CTF-150.